Vintage Threads: Alphabet Adventures - "T is for Twisted Tucks"
Alphabet Adventures - "T is for Twisted Tucks"
Continuing on with some alphabetic creativity...today is brought to you by the Letter T with a tutorial on Twisted Tucks. This is a technique I learned from a wonderful book called Manipulating Fabric. 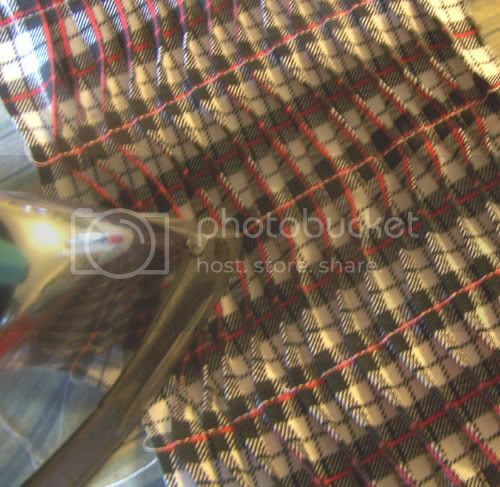 About 8 years ago, I made a vest of an ethnic ikat fabric using this technique on the vest front. It closed with toggle loops and bone buttons. It really turned out neat. I hope to make another similar to it this fall. Step 1 - Create a series of narrow tucks evenly spaced across your width of fabric. The tucks take up a great deal of room so you will need a much larger piece of yardage than the pattern piece actually requires. Different sizes of tucks provide different results. As do the amount of spacing between them. You may want to experiment until you get the effect desired. For the purposes of this tutorial, I used 1/4 inch tucks spaced 3/8 inch apart. 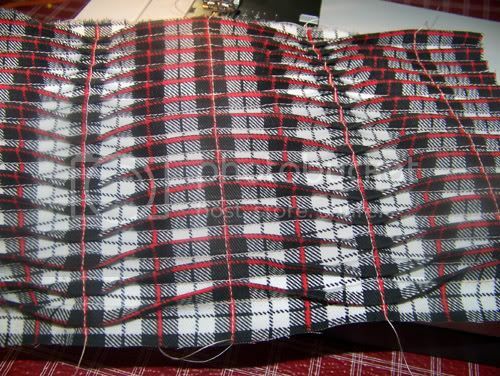 A good way to learn this technique is to use a plaid with a regular repeat as I did here. 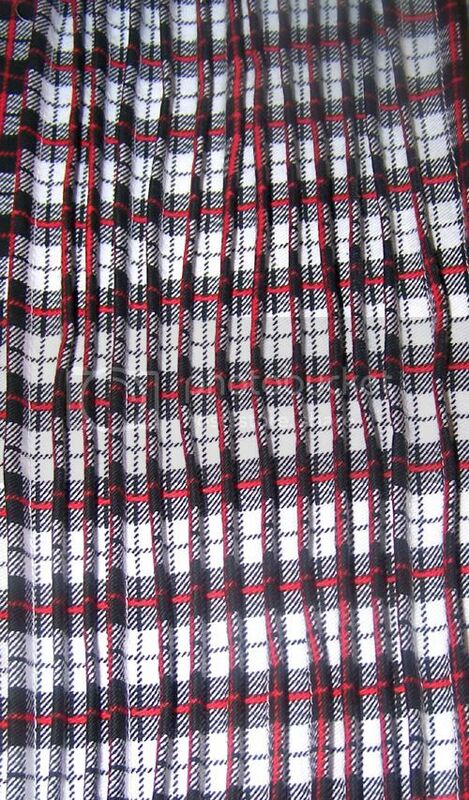 The plaid's horizontal and vertical lines make a wonderful stitching guide and eliminate the need for pre-marking. 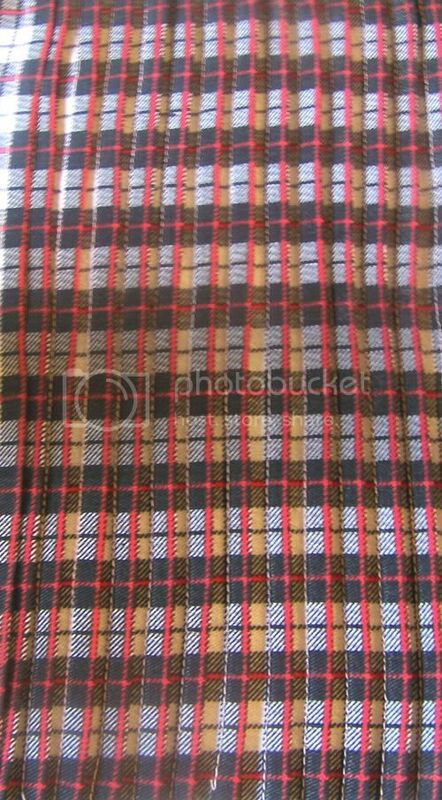 Twisted Tucks on plaid also give a neat secondary effect. Step Two - Press the tucks in one direction. Step Three - Sew across the tucks in vertical seams. Alternate the direction each row so that the tucks create their definitive "twist." If your tucks are closely spaced together, you will need to pull each tuck up from under the presser foot so that it does not inadvertantly get sewn down the wrong direction. Step Three - Stitch across tucks vertically. Step Four - With tip of iron or a mini-iron, press the tucks in the direction they've been sewn. Step Five - Cut pattern piece from the yardage you've created. Assemble garment. 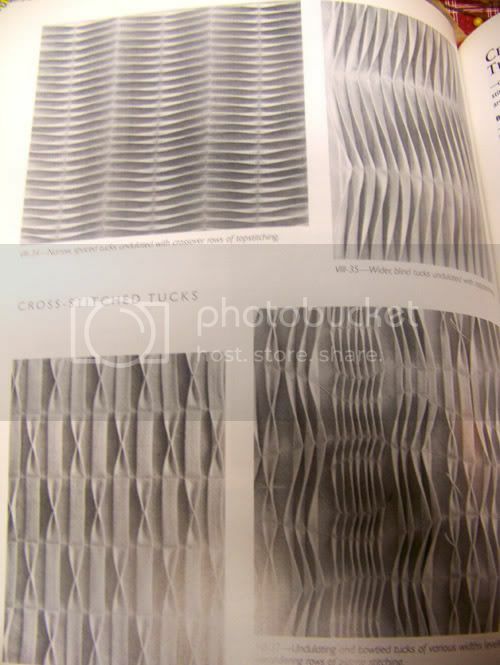 You can vary the width and spacing of the tucks as well as the directional seams to get a wide variety of looks. Here are some examples from Manipulating Fabric. I really like the cross-stitch tucks.